BY JESSE SCHEDEEN There were many promising games on display at E3 this month, but for superhero fanatics, E3 was really just “Spider-Man Week.” Sony offered a tantalizing new glimpse at Insomniac’s upcoming Spider-Man game, one that will hopefully do for the wallcrawler what Arkham Asylum did for Batman. Unlike most Spider-Man games of yesteryear, Insomniac’s game isn’t directly based on the comics, movies or other preexisting incarnation of the franchise. But the trailer does make it clear that the game is drawing inspiration from several key Spider-Man comics from the past couple decades. We’ve picked out six essential graphic novels you should check out if you want to educate yourself on the major players and conflicts in this game. 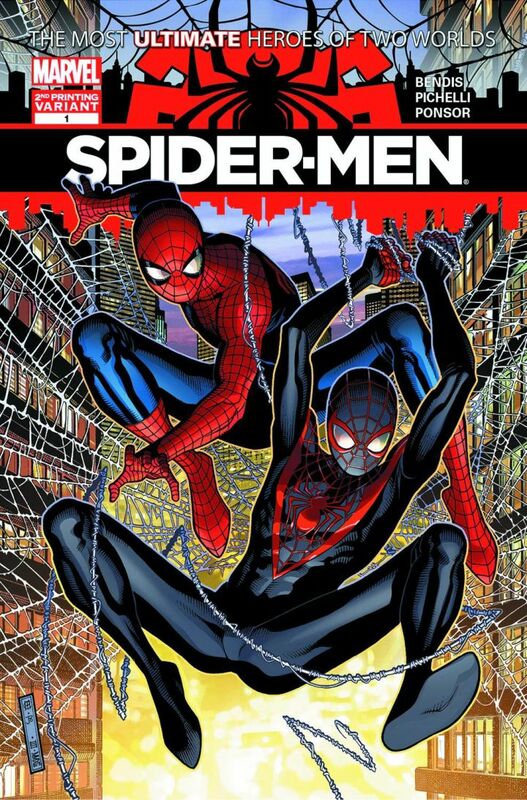 Insomniac’s Bryan Intihar told IGN that the original Ultimate Spider-Man comic is one of the inspirations for this game. Obviously the influence isn’t as direct here as with the actual Ultimate Spider-Man video game from 2005 (which was a direct tie-in to the comic and featured a story written by co-creator Brian Michael Bendis). Where the new game focuses on a 23-year-old Peter Parker with plenty of experience on the job, Ultimate Spider-Man starts at the very beginning, with a 15-year-old Peter being bitten by the radioactive spider and learning his lesson about power and responsibility. We assume that USM’s influence on this game is more generalized. 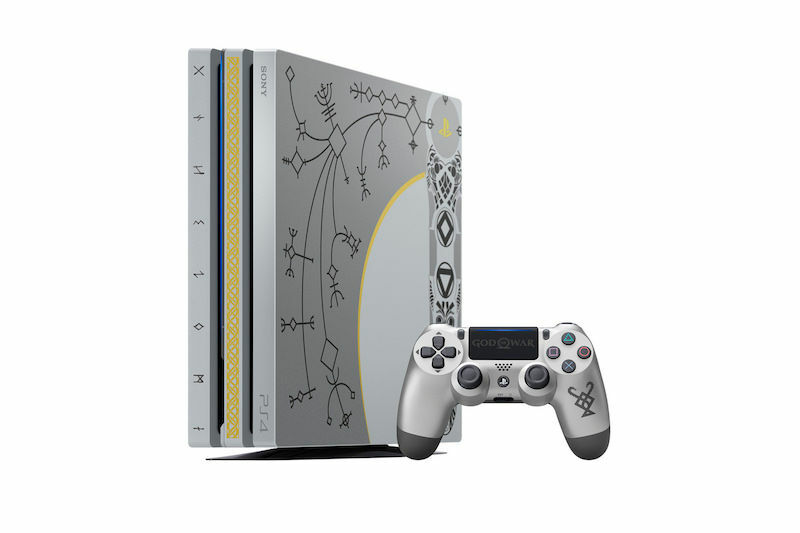 No doubt Insomniac is drawing inspiration from the comic’s willingness to reinvent a familiar mythology and change what needs changing in order to reflect the current era. We hope that the game will be as daring as Ultimate Spider-Man was when it comes to re-imagining this iconic hero. 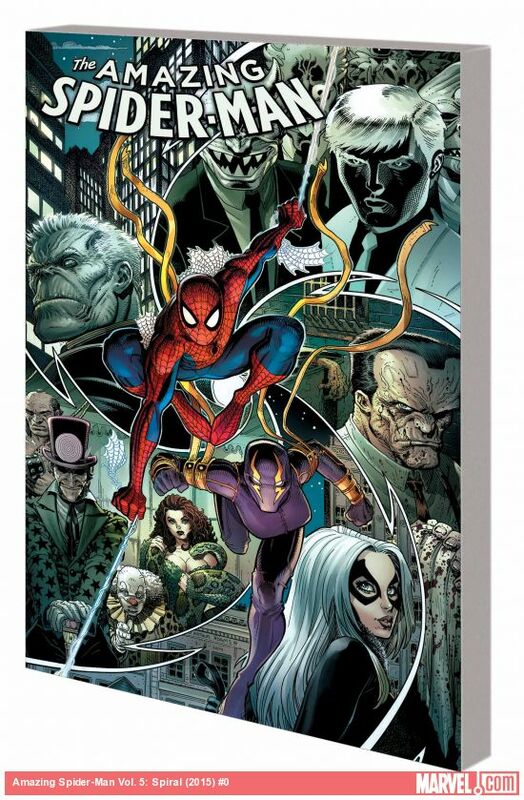 The first Ultimate Spider-Man Ultimate Collection is a great starting point for the character in any context. 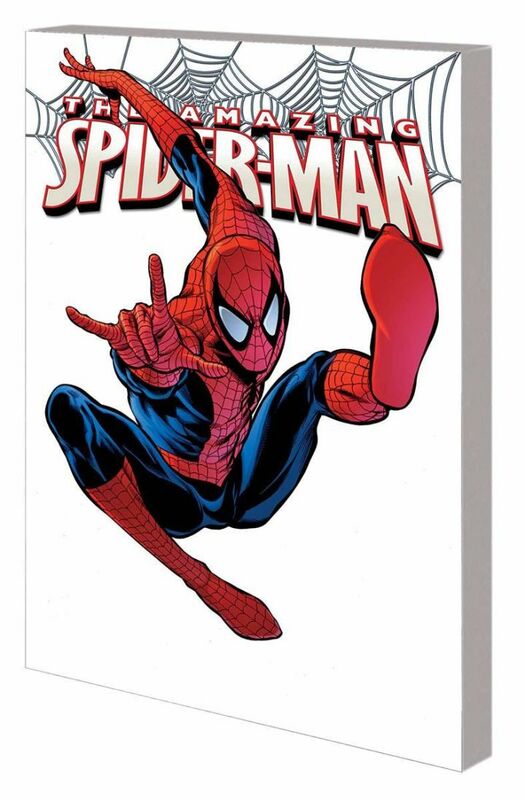 This book collects the first 12 issues of the series, with half of them being devoted to telling Peter Parker’s origin story in the Ultimate Universe and the other exploring his first encounter with the Kingpin. That second storyline is an added bonus, as the game’s trailer makes it clear that Wilson Fisk has a role to play here. If any one era of Spider-Man comics looks to be informing the new game, it’s definitely the “Brand New Day” status quo. Brand New Day kicked off in early 2008, following up on the highly controversial “One More Day” storyline that culminated with Peter Parker sacrificing his marriage to Mephisto in exchange for Aunt May’s life. The point of Brand New Day was to offer a fresh start for Spidey, one where he was once again a swinging bachelor struggling to make ends meet and trying to balance his hectic personal life with his costumed career. That’s seems to be the general status quo for Spidey in the new game. Like in Brand New Day, he’s a seasoned veteran, but still prone to making mistakes and biting off more than he can chew in his day-to-day adventures. There are some more specific story beats in the game’s trailer that hearken back to Brand New Day, however. The first Brand New Day Complete Collection happens to feature the first appearances of both Martin Li/Mister Negative and Yuri Watanabe/The Wraith, two characters who factor prominently in the trailer. If you want a better idea of how these two fit into Spider-Man’s world, this book is your best bet. Mister Negative was a major player in a key Brand New Day-era storyline called “New Ways to Die,” which pitted Spider-Man against his old foe, Norman Osborn. The twist here is that “New Ways to Die” unfolded during the “Dark Reign” status quo, a period where Osborn took over as Director of SHIELD and effectively became the defender of the free world. With a true supervillain in charge, it was a time when every Marvel hero learned what Spider-Man already knew – it’s no fun being the underdog everyone hates. A big part of New Ways to Die involved Mister Negative transforming Eddie Brock (who at that point had rejected the Venom symbiote and was recovering from a battle with cancer) into Anti-Venom. This storyline helped solidify Li’s place in the criminal underworld and showcase his powers on a wider scale. We also noticed a billboard in the game trailer that reads “Re-elect Osborn for Mayor.” We have to wonder if the game will be borrowing more from the general Dark Reign status quo and exploring Osborn’s successful (if brief) rise as a respected political figure. 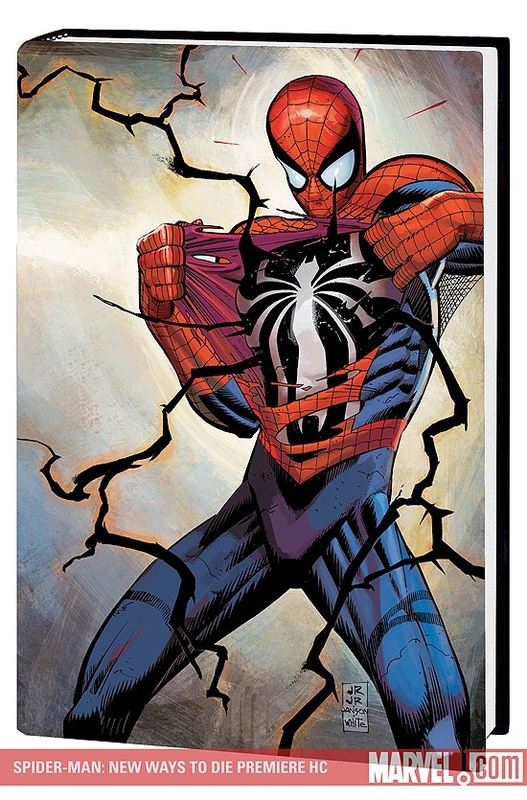 Readers can also check out the Spider-Man: Brand New Day Complete Collection Vol. 2 trade paperback if they want to read this story, as New Ways to Die is one of the stories included there. But those who prefer to get straight to the point can stick with the basic New Ways to Die collection. Both Mister Negative and The Wraith have remained recurring players in the Spider-Man books since their Brand New Day introduction, but “Spiral” marks their most significant appearance in recent years. This storyline occurred in the aftermath of the massive Spider-Verse crossover, where Peter Parker teamed up with dozens of Spider-Men from across the multiverse to defeat the family of vampiric cannibals known as The Inheritors. The purpose of Spiral was basically to help ground the franchise after the craziness of Spider-Verse. So even though this book is technically Vol. 5 in the 2014-2016 Amazing Spider-Man series, it works perfectly fine as a standalone tale. Spiral explores the effects of a massive gang war in New York City, as everyone from Black Cat to Hammerhead to Tombstone to Mister Negative is fighting for control of the criminal underworld. The game’s trailer establishes that there’s tension brewing between Mister Negative and Kingpin’s rival gangs, so that alone makes this book a relevant read. However, Spiral is especially important where Yuri and her costumed alter-ego are concerned. The storyline focuses a great deal on her thirst for vengeance and the way that good heroes can become corrupted by their crusades. We have to assume the game will be covering similar ground and that Spidey’s fight to save his new partner from her own demons will be equally important. 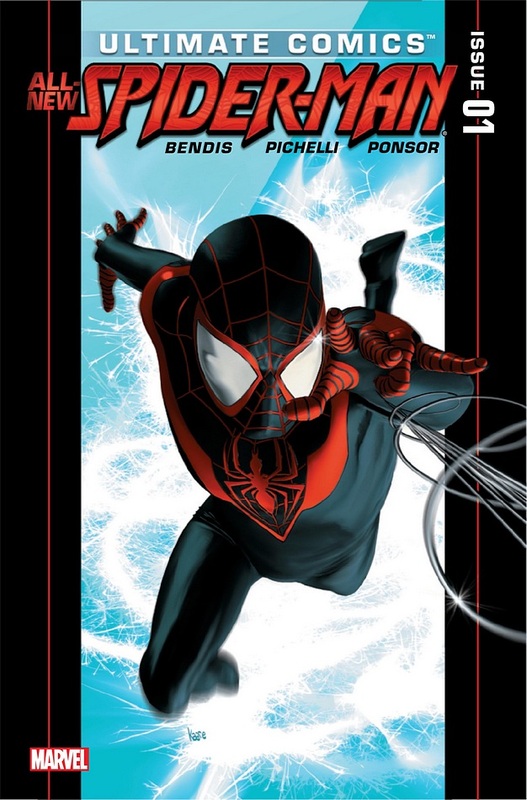 More than a decade after helping to birth the Ultimate Universe in Ultimate Spider-Man #1, writer Brian Bendis dramatically revamped the franchise by killing off Peter Parker and replacing him with a new teenage Spider-Man, Miles Morales. Miles quickly found a sizable fanbase, both for helping to bring a greater diversity to Marvel’s superhero lineup and because he allowed Bendis and co-creator Sara Pichelli the chance to tell a very different sort of “Young Spider-Man” tale. Not only did he have to juggle the warring responsibilities of being a teenager and a superhero, he had to live up to the impossible standard set by the late Peter Parker. The final shot in the game trailer shows that Miles has a role to play in this story. Whether we’ll actually see him take up the mantle of Spider-Man remains unclear, but it certainly wouldn’t hurt to read the first volume of Ultimate Comics Spider-Man and discover how Miles evolved from ordinary teen to Friendly Neighborhood Spider-Man.